When compiling your gift to thank your best man, add in a pair of these whimsical socks. 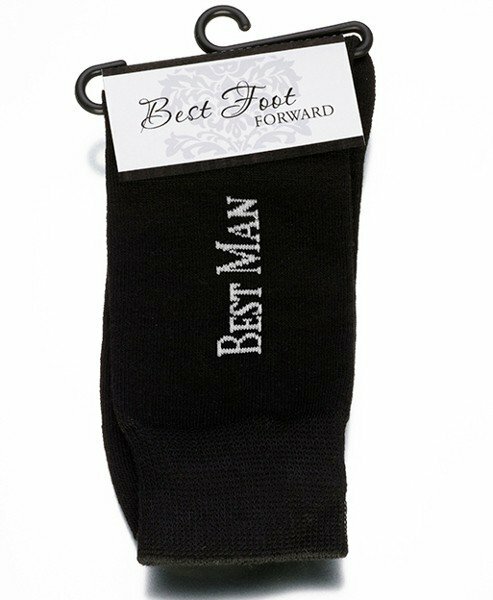 Each pair comes in black and features the words "Best Man" in white on the sides. 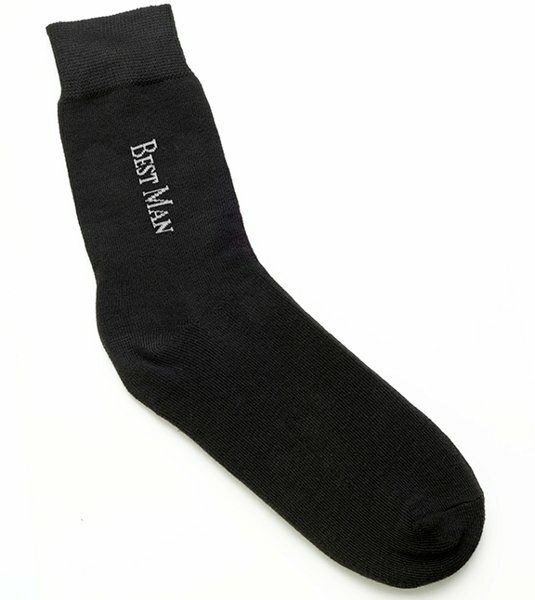 These Best Man Socks will fit a men's shoe size of between 6-12. Allow him to put his best foot forward as he accompanies you on your special day. Also good for members of the bridal party who forgot to bring black socks to go with their tuxedo. Similar styles are available for groomsman and groom in black and bride, bridesmaid, and Maid of Honor in pink and white (search for WF675). Makes a great addition to a gift basket you're giving your best man.